Hello lovelies! 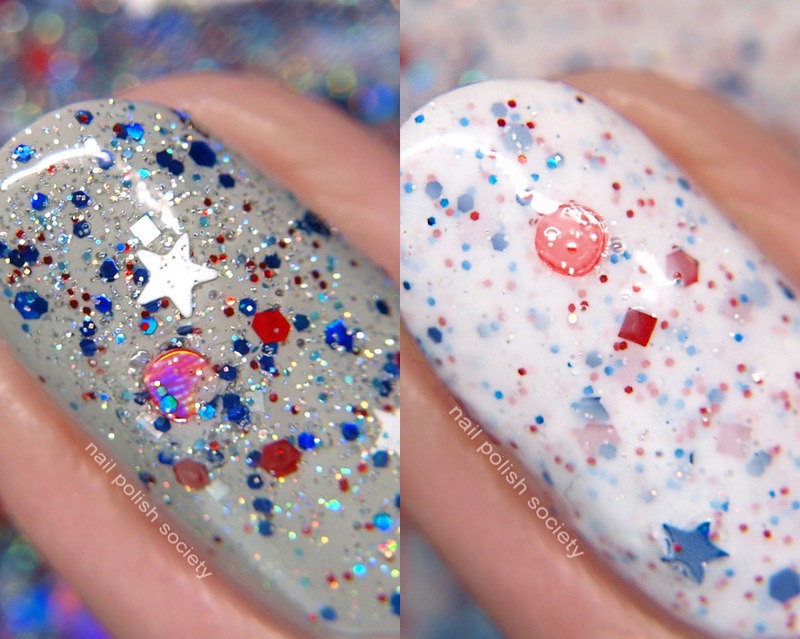 The month of July marks Cupcake Polishes 5th anniversary! I'm happy to participate in the celebration because they're an awesome brand, but also because it'll be my 5 year blogiversary next month. So lots of celebrating all around! For the occasion Sara has created a limited edition trio that will be available throughout July. In addition the whole shop will 30% off with the code 5YEARS. Let's take a look at the trio..
Hello lovelies! Today I have the ‘Keep Calm & 30 On’ collection in celebration of Lexi's (Painted Polish creator) 30th birthday to share with you! It consists of three beautiful shades of amethyst, in a holographic, crelly, and creme finish. The formulas were are terrific and any purple lover is going to want to get their hands on these! Hello friends! 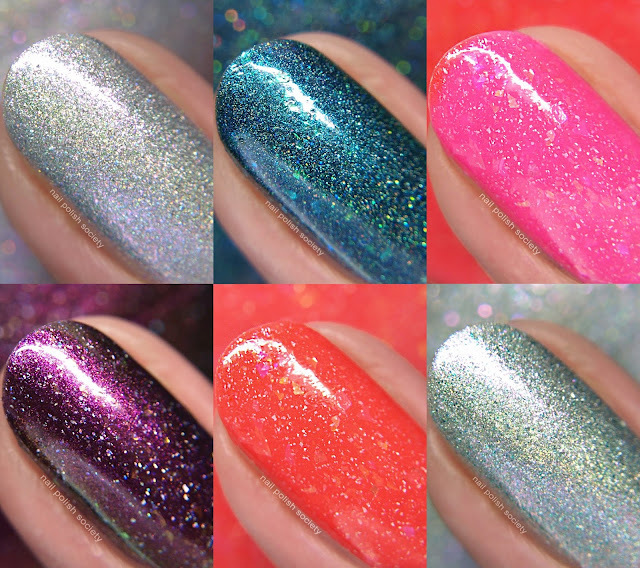 I am just thrilled to have the chance to review The Holo Hookup box this month! If you're not familiar, The Holo Hookup is a monthly box with exclusive holographic polishes created in collaboration with three permanent indie brands- Cupcake Polish, Different Dimension, and Glisten & Glow- along with a guest maker. This month's guest is Polish 'M and the theme is one of my favorite pastimes, nostalgic board games! Hello lovelies! Who is ready for some seriously bright Summer polishes?! I have for you the Glisten & Glow Summer Livin' collection which consists of five blinding neon shades that are eye-catching when worn alone, and also work great for nail art! I've photographed each shade with both Glisten & Glow Top Coat (glossy) and their Matte Top Coat. These shades were applied over plain base coat, no white undies are required to make them appear this vibrant. Hello lovelies! Today's post features one of my favorite brands that sadly hasn't appeared on my blog as of late. 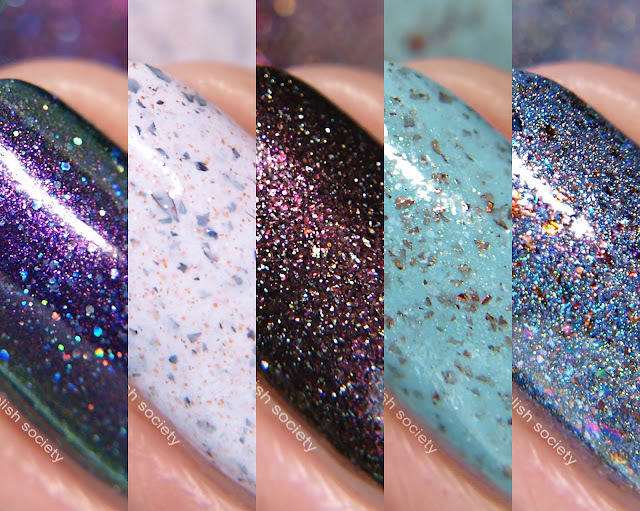 I have too many of their polishes sitting in my ever growing untried pile! The Glam Polish You’ve Got A Friend In Me collection is inspired by Pixar and consists of ten shades, five of which I have to share with you. Each shade is filled with gorgeous unicorn shimmer (my favorite part), holo glitter, and flakies (which I like in some shades better than others). The formulas were all consistently good but I did give a little effort into flaky placement so they weren't all gathered at the tips of my nails. Hello lovelies! I am so pleased to share with you a new-to-me water decal brand, H2Oh!, created last year for Russian stockist LakoDom. The decal images are all original, designed by three very talented Russian nail artists- @freiliiegend, @sasshhaaaa, and @nailtard. When offered a chance to review these, I browsed the selections and found it almost impossible to choose! The artistry is seriously amazing, and above and beyond any decals I've ever used. Each pack includes 28 images with two complimentary designs. The white areas in the decals are clear so they look best when applied over a white base polish. Of course you can experiment with other base colors to achieve a different effect. I found these really easy to work with and there is a good range of sizes in each pack to fit any nail. One last thing- many of my photos make the decals appear to be pixelated, but that's only the result of my camera/editing. Now let's take a closer look..